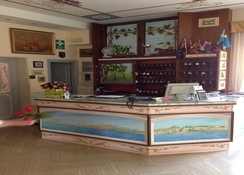 The Hotel Londra renovated and enlarged is the ideal place to spend your holiday in Sorrento- in the breathtaking of the "land of the mermaids”.The hotel is carefully run by a family who- apart from the hotel branch- give their experience as restaurateurs for about 30 years- is in Sant'agnello just 1.5 km far away from Sorrento- easily accessible by a walk or who prefers to go by bus- the bus stop is located just opposite the hotel. 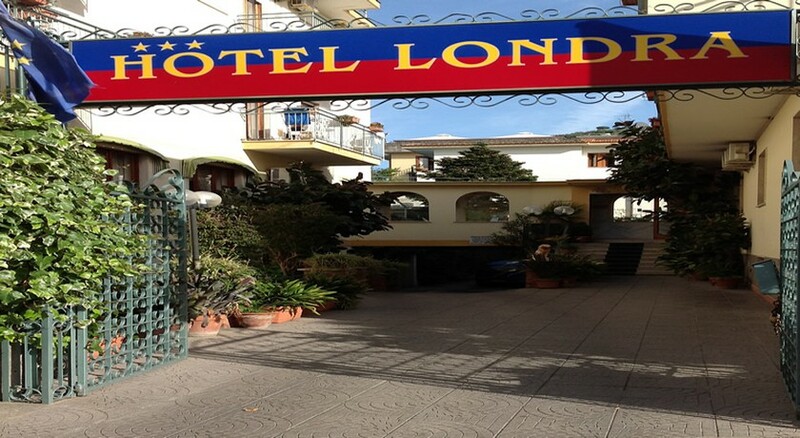 The Hotel Londra has a privileged position in the breathtaking scenario of the Sorrento Peninsula Its location makes it a perfect base for touring the beauty of the surroundings.. Capri- Positano- Amalfi- Pompeii- Naples and for anyone who wants to live the night life or simply wander the narrow streets of the beautiful Sorrento and of course for those who want to spend a day at sea the nearest beach is only 5 minutes walk. It’s location near the sea and at the same time near the center of Sorrento- make it easy both to enjoy geographic and artistic features of the place like..Capri- Positano- Amalfi- Pompei- Napoli and the lively activities of the nights. And for those who want to spend a day at sea the nearest beach is only 5 minutes walk. 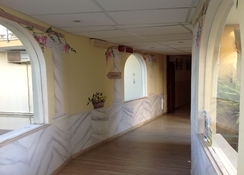 The hotel has 46 rooms furnished in modern style- a Restaurant- Bar- Swimming pool- Solarium. In the lobby is available free WI-FI- TV- Bar. Great base , hotel not flash but worth the money we payed , breakfast included , and it satisfied us , we went as a group of 12 and everyone thought it was worth the money , if your the type of person who would complain about the least little thing you would probably not like it , drinks weren't over priced either . Spent 2 weeks in the hotel londra and would definately go back. The food was lovely and the staff so helpful and friendly. 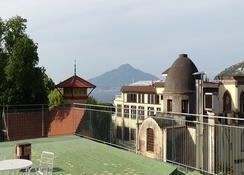 location was handy for the train to Pompeii and Herculaneum although it’s a good walk to the main square and the marinas. The londras pool is small but clean.